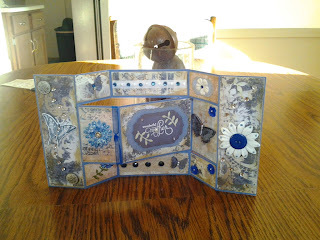 This card was made for MY special mom. I always love to do something special for her. It literally took me 15, count them, 15 hours to make this card. 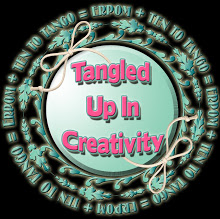 Lots of cutting, trimming, pasting, glittering (I know it isn't a word, but humor me for now). I hope she enjoys it as much as I loved making it for her. Hell, I think I may go get her a frame and frame it! Such a beautfiul card! It is a labor of love for sure. Suc lovely papers and a fun fold. I would get a frame and after she opens it and admires it, you can frame it for her. Your card came out great. She will love it. Your hard work and all the thought you out into making it shows! Gorgeous, absolutely gorgeous and the papers are fantastic! Your mother will love it! It is easy to see the love in this remarkable creation for your mother, Tammy! What exquisite work! Oh this is lovely - looks like it took a lot of TLC to make! Great job, Tammy! Wow! This is stunning. I can see that it would take so much time to get it all right. I know she'll just love it. Pia - this is lovely! Your mom is going to LOVE it!!! 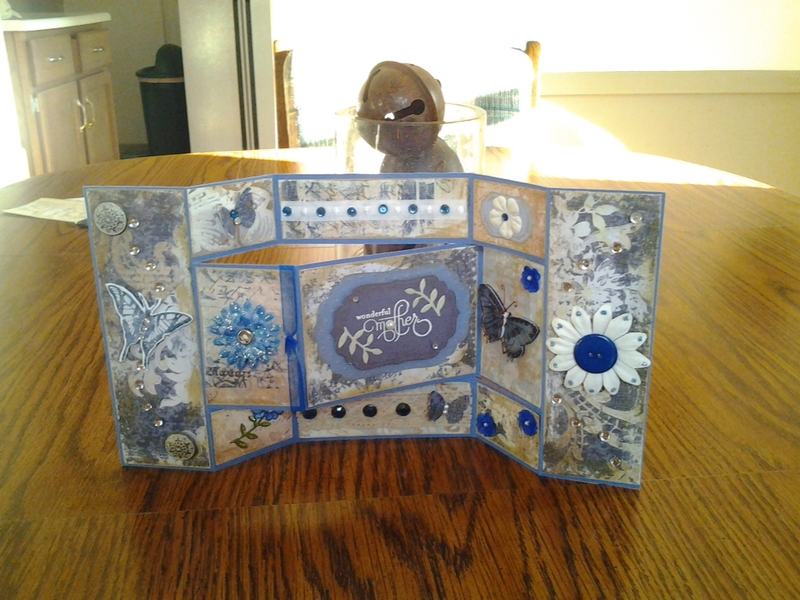 A very beautiful card Tammy. You put a lot of love into this card and your Mother will adore it. I have to try a tri-shutter now. Wow...you are so diligent! I'm sure she loved it! Glittering most definitely is a word Tammy! You and I both use it:) Your card is stunning. I am sure your Mum will adore it! beautiful card!! Your mom will surely love it! This is so, so gorgeous! I'm sure your Mom loved it! my goodness... 15 hours??? i don't love my mom that much!!! haha. i'm sure it was well loved! !